EL SEGUNDO, CA, Sept. 19, 2017 – Christian Siriano, top fashion designer known for advocating for body positivity, has partnered with the iconic doll to launch a one-of-a-kind collection showcasing red carpet glamour on the four different Barbie® body types found in the brand’s Fashionistas® line. Four of the one-of-a-kind Barbie looks were inspired by red carpet moments Siriano designed for celebrities, which showcase the evolution of red carpet beauty. The final doll’s gown was inspired by the designer’s Resort 2018 collection to complete the diverse line-up. Siriano continues to challenge the fashion industry’s standards by being more inclusive—a shared value for the Barbie brand. 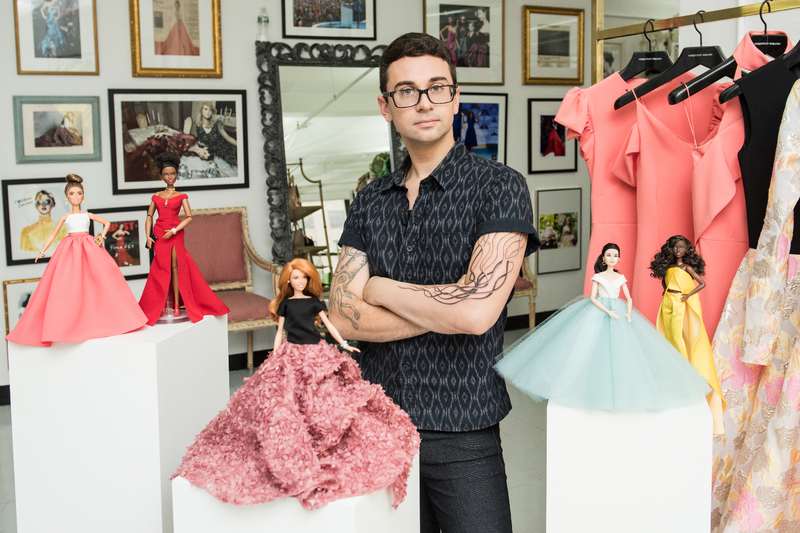 "Barbie has always been a huge inspiration to me and I’m honored to be teaming up with this iconic brand,” said Christian Siriano. “It’s especially exciting to be designing an array of inclusive and diverse doll looks that can allow girls to see themselves better represented when they play. It was incredible to recreate iconic red carpet moments and dress my latest muse, Barbie, in a new look from my Resort 2018 collection." Over the past three years, the Barbie brand has infused a variety of skin tones, body types, hair styles and fashions into its line—making it the most diverse doll line on the market. The brand is a better reflection of the girls who play with them, and culturally depicts a broader view of beauty currently seen on runways, red carpets, in magazines and with the rise of social media influencers. The Barbie Fashionistas segment continues to exceed expectations, as sales of the line see high double-digit growth globally. Diversity continues to roll out across brand content, marketing and product, including the Fantasy, Entertainment and Careers segments.